Harmony in 3, a collaborative effort with dancer and choreographer Ashley McQueen, opened in Laumeier Sculpture Park October 15. South Slavic Requiem, a six-minute installation at Bruno David Gallery, opens October 16. Ćosić joined “Cityscape” to discuss the concept and execution behind such thematically disparate projects. 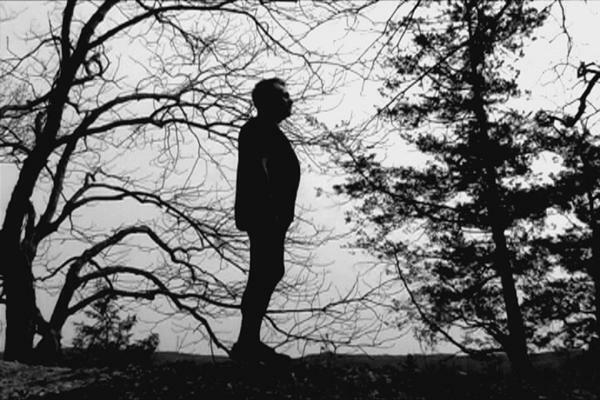 Zlatko Ćosić discusses "Harmony in 3" and "South Slavic Requiem," both opening this month. Harmony in 3 is Ćosić’s collaboration with dancer and choreographer Ashley McQueen. The video takes a familiar, quiet, apparently impermeable St. Louis setting—Laumeier Sculpture Park—and transforms it into a living, changing thing. The video is a tribute to the Park workers, Ćosić said: the employees of the park system, who often work either unseen or unattended to keep the park landscape meticulously clean. 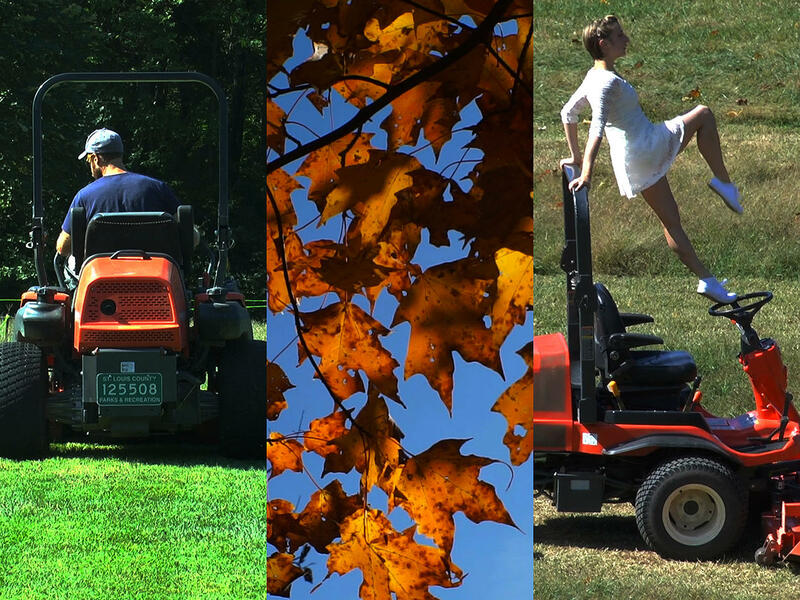 Their labor is reflected in shots of the natural world of the park—half-rotted leaves soaking in water, mushrooms bursting through woodchips on the ground, a lone owl—and also in three dancers, who become moving sculptures as they perform on riding lawnmowers. Stills from "Harmony in 3"
The sounds of the workers’ labor are added to music, creating a soundtrack that follows the dancers, Ćosić said. “Eventually, all of these sounds come together and create this audiovisual symphony.” His camera is everywhere at once—on the dancers, on the workers, on nature—celebrating the efforts of those who continuously build, and rebuild, the park. South Slavic Requiem is less a celebration than a commemoration. In it, Ćosić revisits the themes of war, mourning and identity that drew him from the former Yugoslavia to St. Louis. This year marks the 20th anniversary of the war in Yugoslavia, Ćosić said. “So it’s, in a way, [a] final piece,” one that closes a chapter of his life and work that was dedicated to confronting the violence that took him away from his homeland. Ćosić was born and raised in Yugoslavia. “I lived through three years of the war and in December 1994 I had to leave,” Ćosić said. He faked an ID and got to Belgrade, and finally, in 1997, to St. Louis. 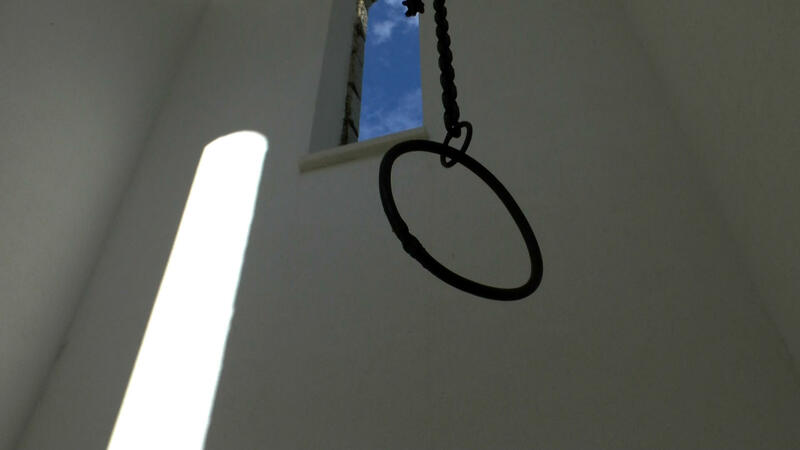 South Slavic Requiem is fittingly minimal: the visual is of a bell-pull, a chain, inside an Orthodox Christian Church. He found it while hiking near the Bosnian border, looking for a spring that feeds into the Cetina River, he said. As he climbed the bell tower, he heard flute music wafting through the window from over the hills. When he saw the chain waving in the breeze, he knew he had a piece in the making. The bell chain in "South Slavic Requiem"
Ćosić returned to the village many times to find the flutist, whose simple tune had stuck with him. The musician’s music now accompanies the video of the bell, sounding the end of South Slavic, Yugoslavian culture, and commemorating the dead, departed, and disappeared. In some ways, Ćosić said, it marks an end for him, too.